At the Y, our Swim Program builds strong, secure, connected and confident swimmers. It works on developing sequence based skill sets that organically build on one another. One simple sign up for a year long session date allows students to learn faster, be safer sooner, and progress quickly through the various stages until they succeed. With a parent*, infants and toddlers learn to be comfortable in the water and develop swim readiness skills through fun and confidence-building experiences. Parents learn about water safety, drowning prevention, and the importance of supervision. Infants and toddlers are introduced to the aquatic environment through exploration, encouraging them to enjoy themselves while learning about the water. *Please note: We define parent broadly, to include any adults with primary responsibility for raising children, including biological parents, adoptive parents, guardians, step-parents, grandparents, and/or any other type of parenting relationship. One-time sign up for swim lessons all year! Students learn personal water safety and achieve basic swimming competency by learning benchmark skills: Swim, Float, Swim and Jump, Push, Turn, Grab, etc. • Session runs from March - June with only one sign up. Fall session will be September - June. • Your lesson day and time remains the same throughout the program year, children progress through swim lessons until they succeed. • Requires a minimum 2-month commitment. Easy, automatic monthly draft. Having mastered the fundamentals, students learn advanced swimming skills needed to swim competitively. Increase speed, endurance and enhance techniques in the water. • Evaluation required for children to be in this program. • Must be 6-16 years old, able to swim 25 yards of freestyle and backstroke. 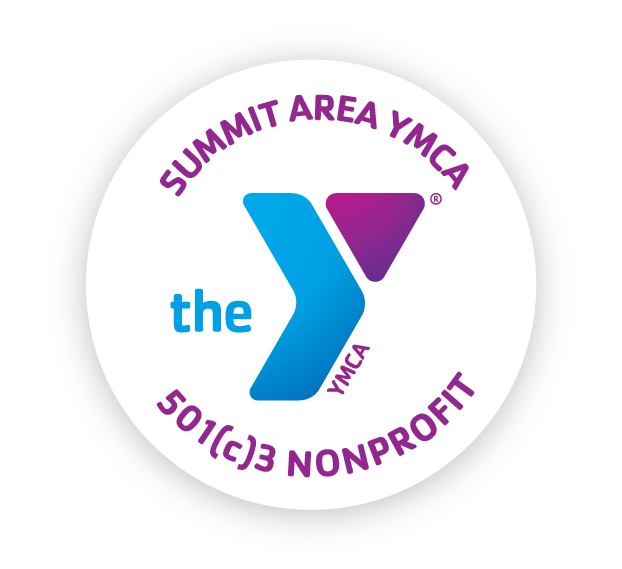 • Participation in Pre-Swim Team does not guarantee acceptance to the Summit Area YMCA Swim Team. Fall tryouts are required. **Children (ages 6-16) currently in Stroke Introduction, Stroke Development, Stroke Mechanics or Pathways can automatically advance to the Pre-Swim Team Program. Staff recommended private swim lessons! Private swim lessons will be adapted to your swim expectations. There will be four half an hour sessions to be completed within a five-week time frame. A contract will be needed to register for this class. Email sue.palatini@thesay.org with any questions or to sign up. Adaptive Swim Lessons are customized swim lessons for children with diverse abilities. Swimming aids in relaxation, teaches them new skills, helps to build muscle and stamina, all while increasing self-esteem and confidence. Skills are taught based on each child's individual ability. Parents are encouraged but not required to get in with their child. Swim lessons are 30 minutes held in our indoor heated pool at the Summit YMCA. We are proud to bring you an upgraded version of our current swim lesson program! The new Seals Swim School allows your swimmer to focus on what's most important - learning to Swim! Enjoy a worry free one time sign up for all of your swim lessons. • 30 days written notice prior to the draft date required to stop the monthly draft. • Participants with less than 2 months will be drafted for the remaining monthly payment. • If a scheduling conflict arises and you need to switch your day and time, a Change of Program Form is required to be filled out and approved by the Aquatics Director, dependant on spot availability.